Stacy Terrell has been with Vista going on 4 years. Her first year here she spent time helping in the lunch room which encouraged her to create a lunch program Vista could call their own. 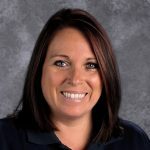 She is now the Director of Food Services and loves working with her team of dedicated employees to bring healthy food to the wonderful children of Vista. She is married to Shaad, and they have five amazing kids: Kamee (Byron), Kolin, Kylee, Kecia, and Kaage. Four of her children have attended Vista since the school opened. When she is not at Vista, you can find her at a softball field or a JROTC drill pad, being a dance mom, fighting zombies, spoiling her grandson Ryker, hunting & camping, and spending time at her favorite place on earth — Lake Powell.